After climbing the top of Sgarbh Breac on a walk in the north of Islay I made my way to the north coast, approaching it from the hills. Admittedly it being a panorama exaggerates the effect, but I quite like how the hills on the left and right frame the picture here. In the distance on the left is Mala Bholsa (127m), below us just right of centre is the beach outside Bholsa caves. On the horizon on the right you can just make out Oronsay and Colonsay. Seen from Mala Bholsa a view of the raised beaches in the remote north of Islay. Jura also visible in the distance. 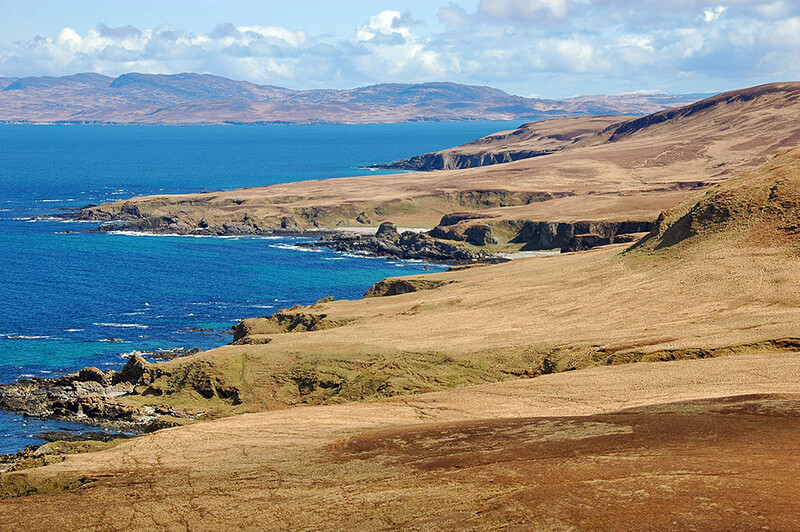 The north coast of Islay has some of the most impressive raised beaches on the island. Here a view west from near Bholsa caves (the big cave is in the cliff face straight ahead). 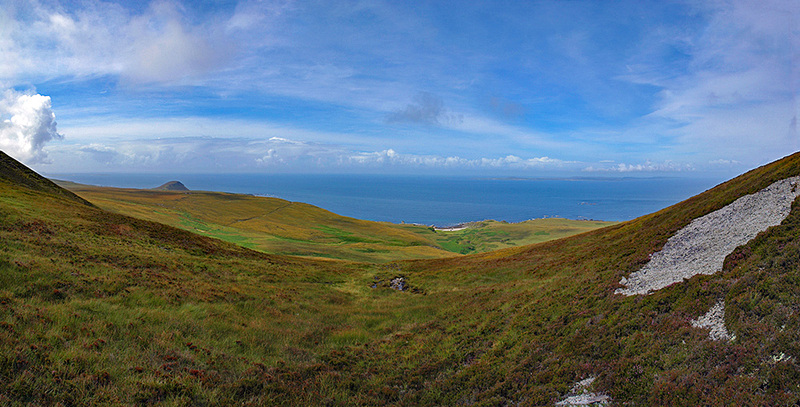 Mala Bholsa (127m) straight ahead in the distance, Colonsay and Oronsay just visible on the horizon on the right.